A cam stack? Well if you can call it that. It has one three lobed cam just about half way between the presser foot bar and the button hole control knob towards the back. Do you put that lever on M to do the button hole? Maybe farther over to the right for a triple? With all those dials, you'd think it would do more fancy stitching. Lots of very nice machines to drool over. I only have vintage/antique Singers and vintage Pfaffs. No old Japanese machines live here. I was looking at Bonnie Hunter's blog and she has a very pretty hot pink Morse machine & several others in various colors. jlm5419, that is the twin to my mother's White. I wish I had found one around here. I didn't realize we were posting SS machines, too, so here's another to go with the turquoise Universal. Admiral is her name, looks like a Necchi, but made by Brother. Gorgeous turquoise Art Deco decals and an Art Deco faceplate. Sews well if you put the plugs in the correct receptacles. I reversed the machine and the foot pedal plugs the first time and the machine took off like a race horse on its own. Yikes! 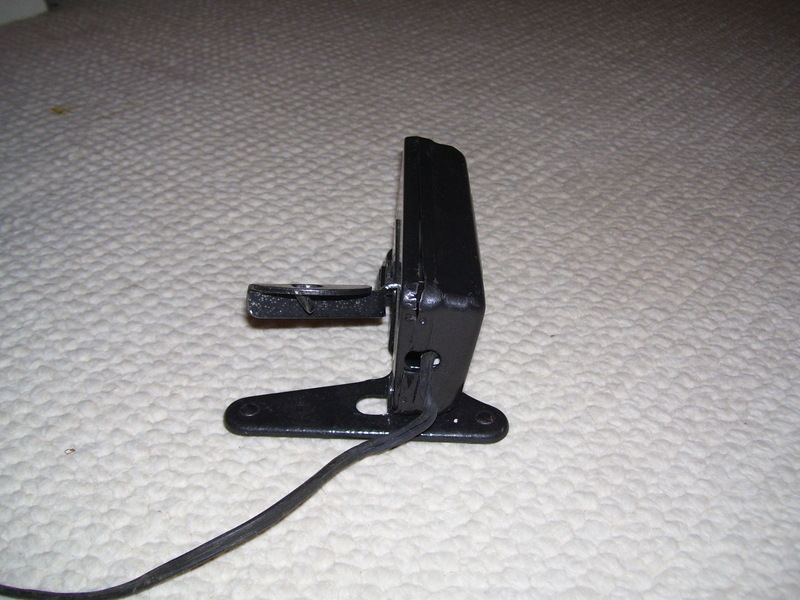 The interesting foot pedal is being replaced as it is ceramic inside and overheats. I'm selling this one, though I haven't listed it yet. The machine is much prettier without that r/w/b sticker. I didn't realize it was just a dealer sticker before I took the picture. We should do a thread just for the crazy foot/knee controls - then decide which ones are safe and which ones aren't... I believe I would leave that dealer sticker alone - it is cool - I've not seen one like that. I have a ZZ machine with very similar lines, I think I posted it earlier in this thread. It's my American Home machine. I also have several of those foot controllers. They are one of my favorite designs. Very comfortable and responsive. Much better than the little button one Singer made for so long. The heating comes from the resistance unit doing it's job. When you run the machine fast the resistance is low to allow full voltage to the motor. When you run it slow the resistance is high to reduce the voltage. The voltage has to go somewhere so it's turned into heat by the wire coils around the ceramic block and dissipated. You have a PM on the way. The sticker is gone. It detracted from the elegance of that machine. 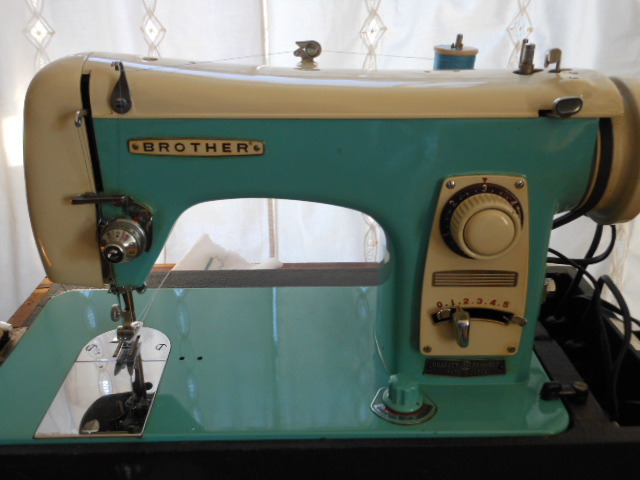 I got a Brother all cleaned up and he works real nice - centered needle, too!!! I love the color. I think this is the only one I have though there may be others. 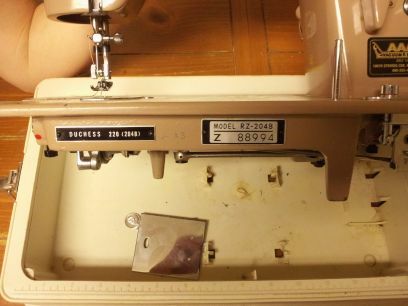 I have a White identical except for the color to one posted earlier, and I have a Dressmaker Zig Zag but not sure if its a Japanese or not. I honestly bought it for the cabinet and havent given it a second look. 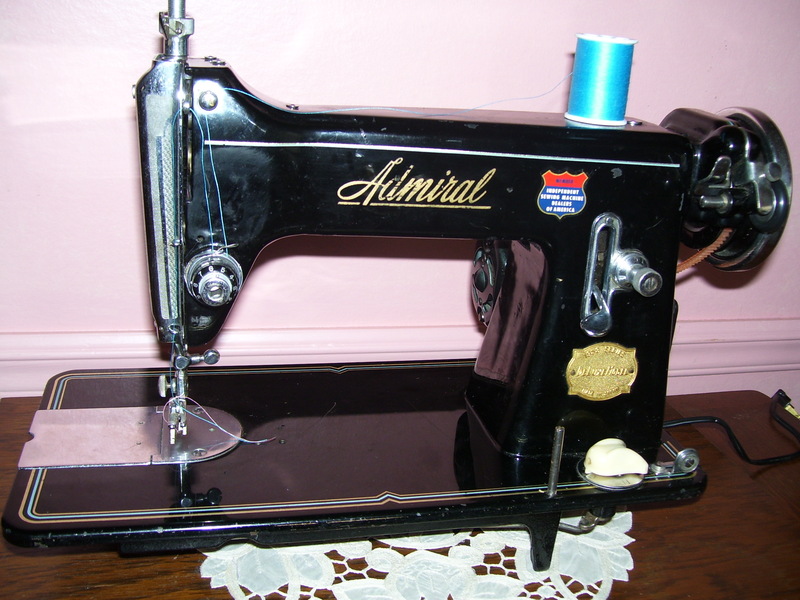 I've also got a 15 clone Admiral made in Occupied Japan but its a straight stitch only. I think if you poke and prod and play with those machines you will like them. 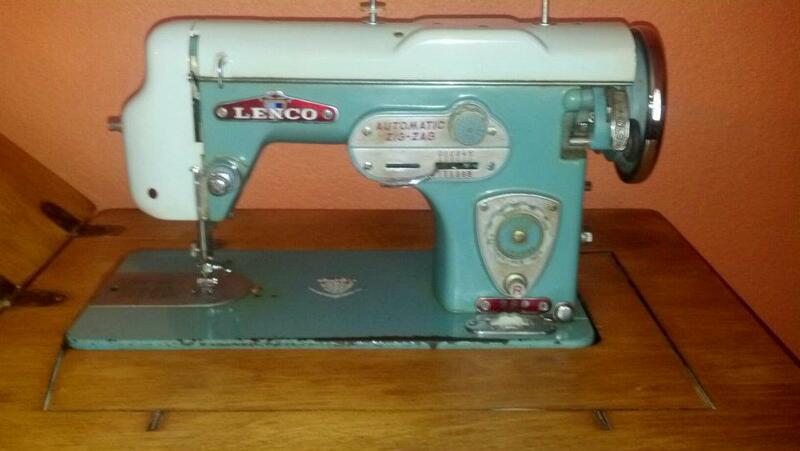 Is that Lenco a dedicated left hand needle position when it straight sews? Don't you just love the funny lines of that machine? Looks like the feed dogs drop for FM. 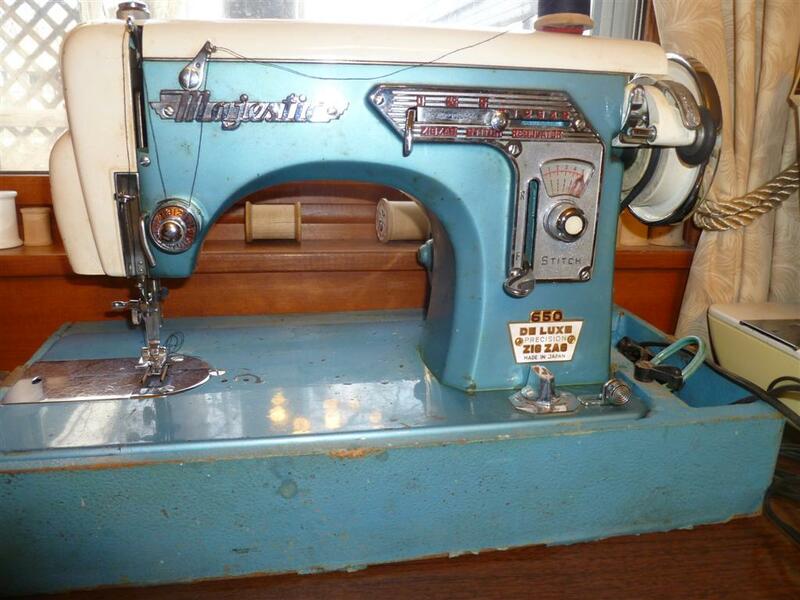 The Dressmaker will be Japanese and may be a good machine that will hem all your jeans. I'm new to your forum. I sew & stuff fabric teddy bears for the hospital axillary to give to whomever needs a hug. 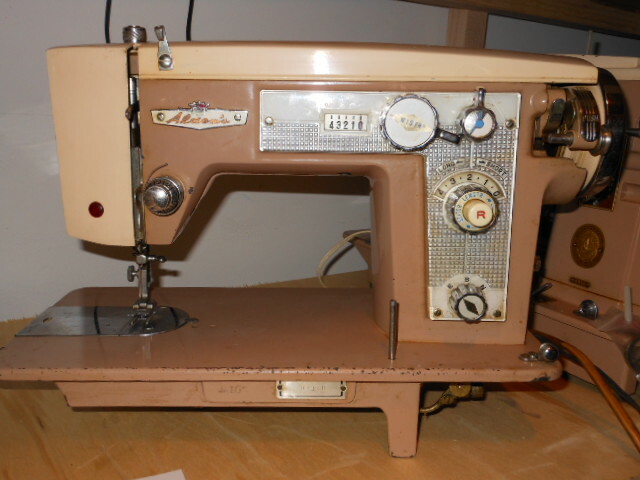 The bobbin winder unit on my trusty Singer 1425N sewing machine quit working. 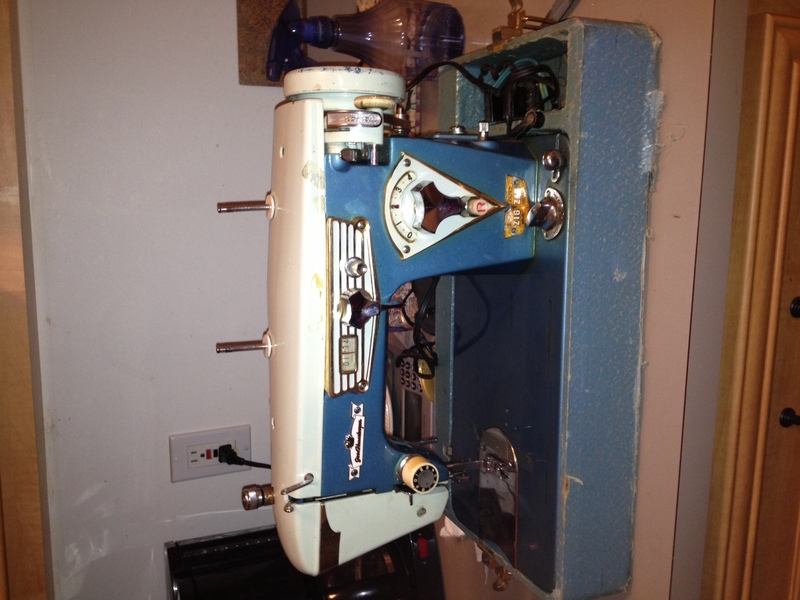 I purchased this Majestic brand sewing machine at a local resale shop. I'm trying to get it in good working condition. It sews a straight stitch and a ZZ stitch, which is all I want. I think very little interior cleaning is required, although the exterior is somewhat nicked. I really like the cover case as it is made from wood, but in sad shape. Any tips on cleaning the cover? Also, is it normal for the motor of a machine that has probably sat unused for a long period of time to emit smoke? Do you think this will stop after a while? It's somewhat scarey, but I'd like to keep this heavy gal. There are no plastic parts that I can see. No owners manual was included, but thankfully it was still threaded. The Japanese machines like this are pretty stout machines. Pull off the top, usually two screws and oil everything that moves or looks like it should move. "Gently" move all the controls as you do the oiling, don't force anything. Make sure the underside is clean and oiled as well. The motor may have a small hole on each end just above the end bushings for oil, if so give it a couple drops of oil, but not too much. Then release the stop motion knob and run the motor a full speed till it cleans itself out. You'll hear the motor sound change as the oil and debris burn off of the commutator. It is fairly common for them to smoke a bit when first run after sitting a while. I use regular sewing machine or small motor oil in motors. Oh, thank you! I now know I won't need to call the fire department if it smokes some. LOL I need to oil the machine, but just Had to see if it even worked, & sewed a little on a scrap of material, the needle broke and then saw some smoke issuing from the motor, so I immediately stopped everything! Thanks again. That Ricar looks like a muscle machine!!! I love the looks of the Majestic - it looks like an old well loved car dash board. Nicks and scratches just add character - probably better than one that hasn't been used. Just do like Joe says and oil the inside parts that move. Triflow is the best. Put that bobbin cover back on, it looks neglected like that. And, if the spring on the plate is broken they can be replaced. My LSMG has replacement springs so I suspect yours might too. If not Sew-Classic has the slide plates for really reasonable prices. Sorry, those were older photos that I had available up on Dropbox. it's all fixed now. My Daughter (who owns this unit) is absolutely in love with it. For Christmas I found her an original "Riccar monogrammer" with all the cards. 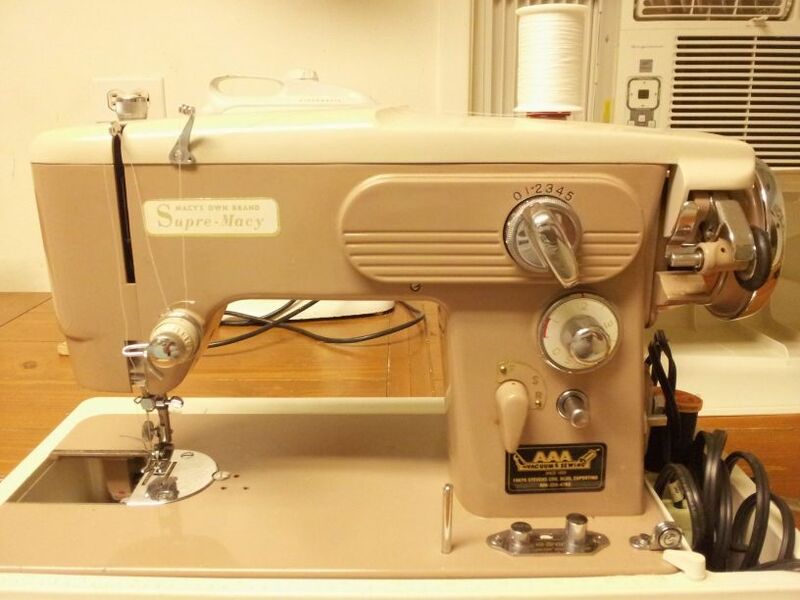 She sews with this machine at least once or twice a week now. I didn't know that some machines were made in japan. This made me think about the machine here in the computer room It is a new home machine & it has little black cams that you put in it to do lettering & decrative stitches. My sister in law won it years ago & gave it to our step mother. My stepmother used it a little bit then I got it after her & daddy went to the nursing home. But it is made in japan but I couldn't find a date on it. I wish I knew how to find the dates on those Japanese machines. Snap a picture of it and post it on here. They made them very well but if you think about it they now make some really great cars in Japan, too. The Japanese car companies like Nissan, Toyota, and Honda also make better cars here in the US than the American name plate manufacturers do. It's got something to do with the corporate attitude I think. right now I'm working on a Free Westinghouse, its black n the wiring is baaaad can't even try it out the shape it's in. I was wondering if it was clone or made in Japan. In the next few days I'll try to post picture of it. The Free Westinghouse is not a clone. This is a cousin to your Gold Good Housekeeper. I recently found the machine at a Share House in Ann Arbor Michigan. I walked out with the machine for $25. I know nothing about it really. I got it to sew a straight stitch but the tension needs some adjusting and I am not 100% sure I have it threaded correctly. The machine did not like it when I threaded the needle from right to left. It really seemed to prefer the needle threaded left to right.